Manchester United defender Chris Smalling has admitted that getting cut from the England side was difficult to cope with - but he has also revealed that he's taken positives from the disappointment. The 28-year-old was snubbed by Three Lions boss Gareth Southgate ahead of the World Cup, with the manager looking to get a more youthful side on the plane to Russia. But, given his performance against Watford on Saturday, there are hints that Smalling has regained his confidence. Jose Mourinho asked about Chris Smalling’s goal. Replied: “The only thing I don’t like about Chris in this moment is his haircut”. “It was obviously a difficult time for me personally,” the defender said, via the Mirror. “I am not going to lie. You want to be involved for your country when you are at a top club. Smalling disclosed the fact that he has not spoken to Southgate since his getting dropped, also insisting he's only focused on United and that he will be looking to play and contribute as much as possible. “I think it was September or October. Not for a while. I have not had any discussions with the manager," he revealed. 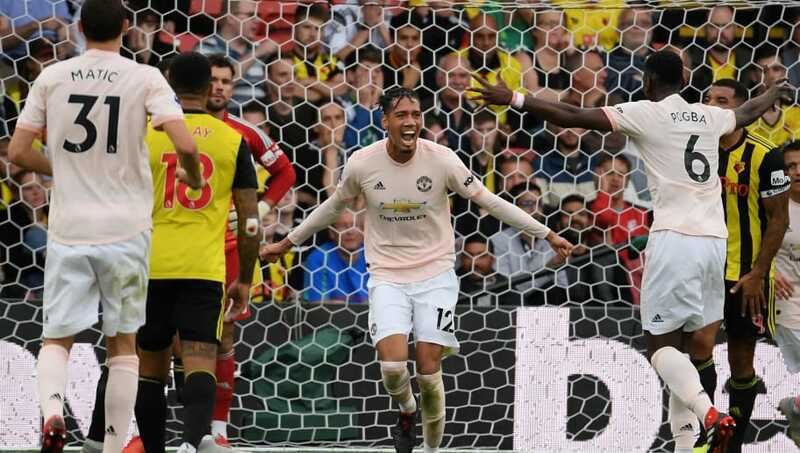 The defender handed the Red Devils a 2-0 advantage over the Hornets on Sunday with a scintillating volley after Romelu Lukaku opened the scoring 10 minutes before halftime. Andre Gray would pull one back for the Vicarage Road residents on minute 65 but Nemanja Matic sealed the 3-1 win with a stoppage-time goal.